This morning, I checked my email to find several quick anguished notes from Delta friends letting me know that our beloved Mt. Holly, long endangered but beautiful even in its decline, was in flames. 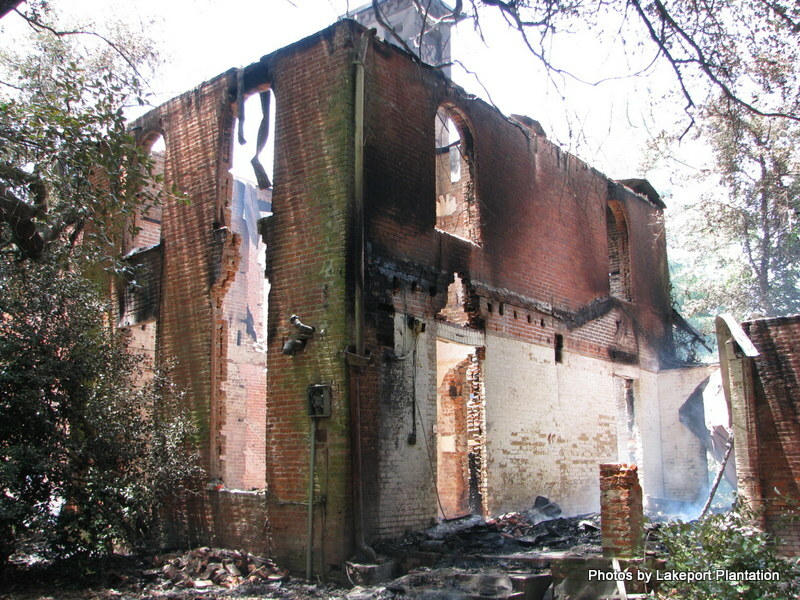 On Facebook, the group called “Antebellum Mansions of the South” posted a terrible picture of the house fully engulfed. 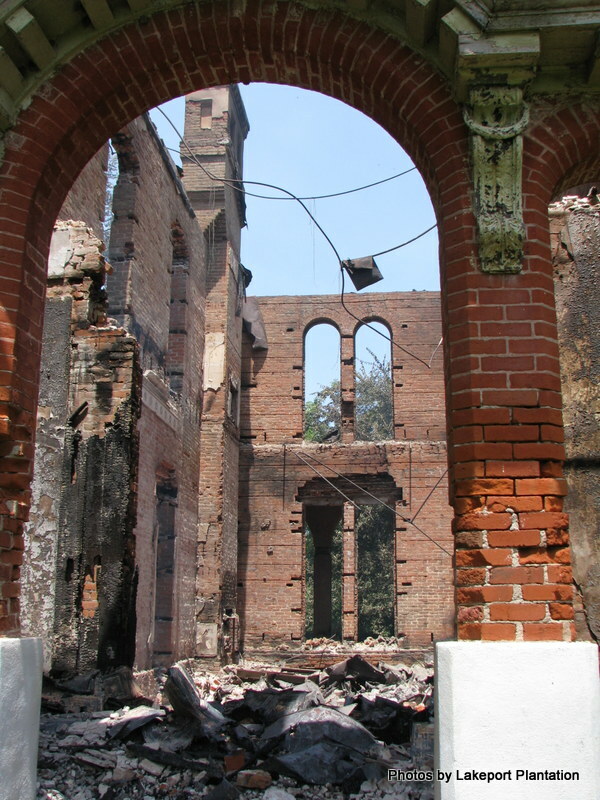 Photo by Hank Burdine, courtesy of MDAH Historic Preservation Division. 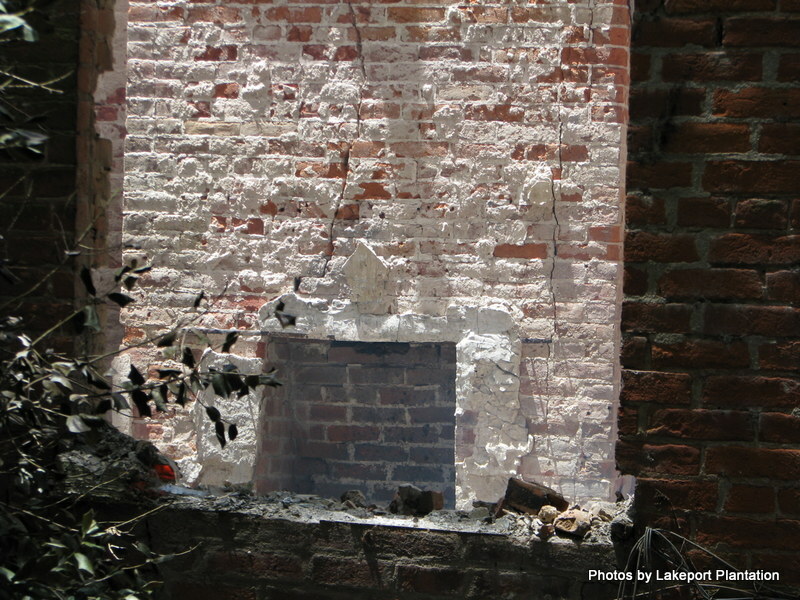 A later post by Blake Wintory on the Lakeport Plantation blog confirmed that both floors were gone entirely, gutted to the brick walls. 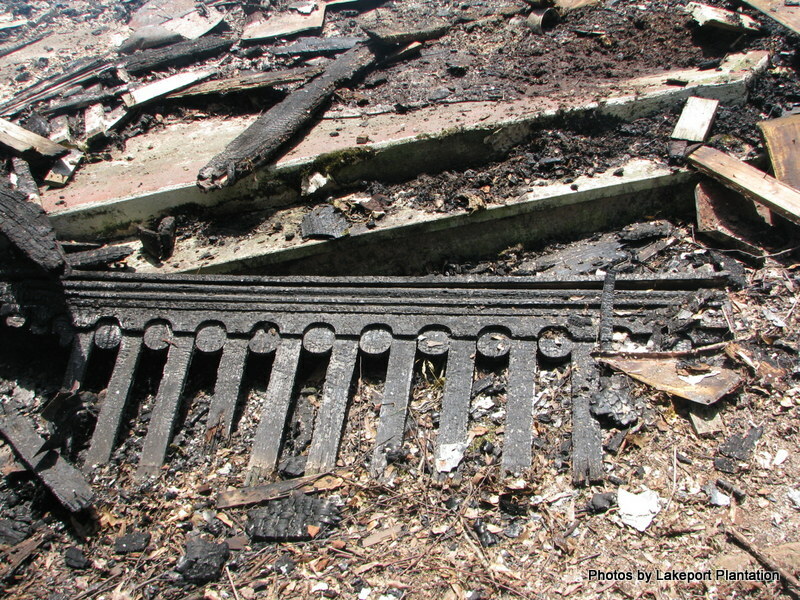 An engineer and a fire marshall are expected to assess the remains. This news isn’t a complete shock, of course–the house had gone from a maintained and lived-in residence in 2000 to ruinous just a decade after Matt Wiggins bought it. It was included on MHT’s 10 Most Endangered List in 2011. 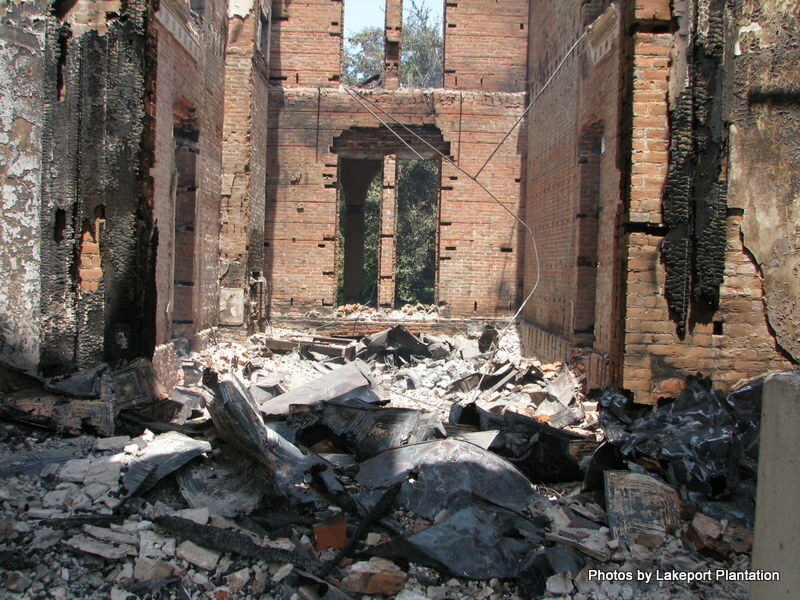 MissPres’s 2010 post “Abandoned Mississippi: Mt. Holly, Lake Washington” has been the site’s most-viewed post, and its comment thread was the most active for many years running. Lately, it was clear that vandals were regularly making nighttime trips to destroy Mt. 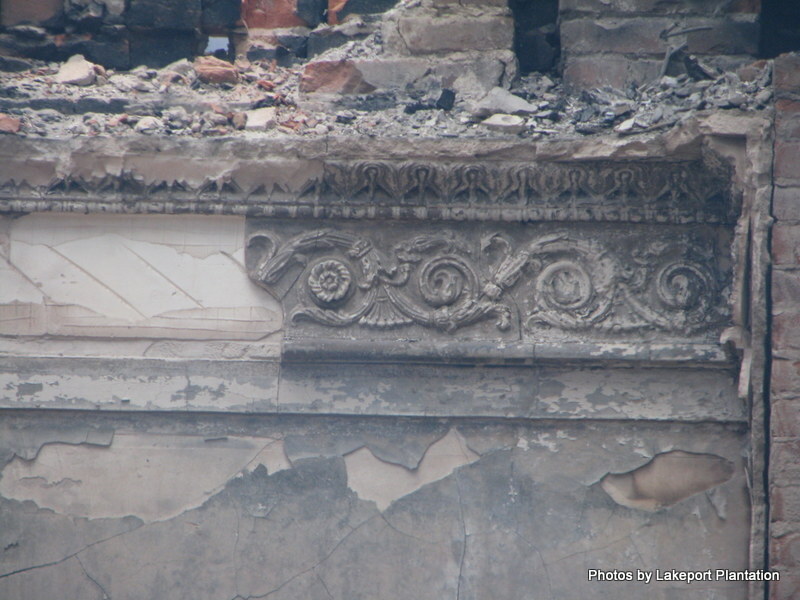 Holly’s intricate plasterwork, woodwork, and anything else they could destroy in their nihilism. Still, Lake Washington’s preservation group worked diligently and valiantly behind the scenes to try to buy the house or at least keep it secure, and only this last month or so, I heard good news that negotiations were close to being final. 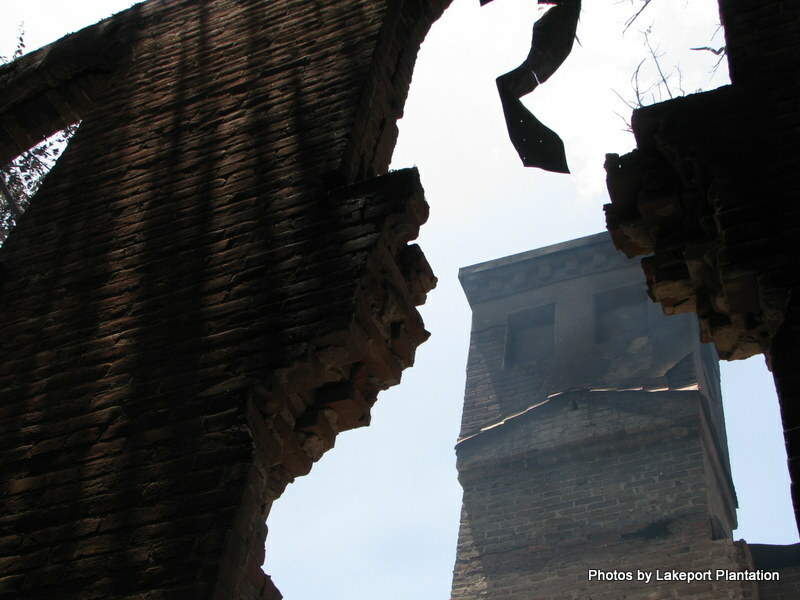 We all had hope for the first time in a long time, and that makes this fire even more devastating. To those who came so close after so long, I say “thank you.” Although the loss is bitter, it was not for want of trying. 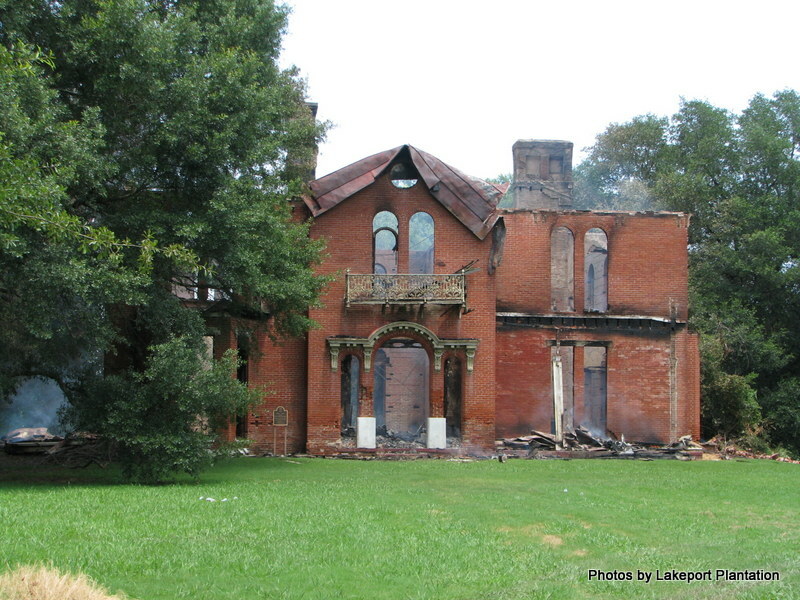 So many of Mississippi’s historic buildings have disappeared through apathy or lack of means, but Mt. Holly isn’t one of those–you gave it all you had, and that’s the effort she deserved. 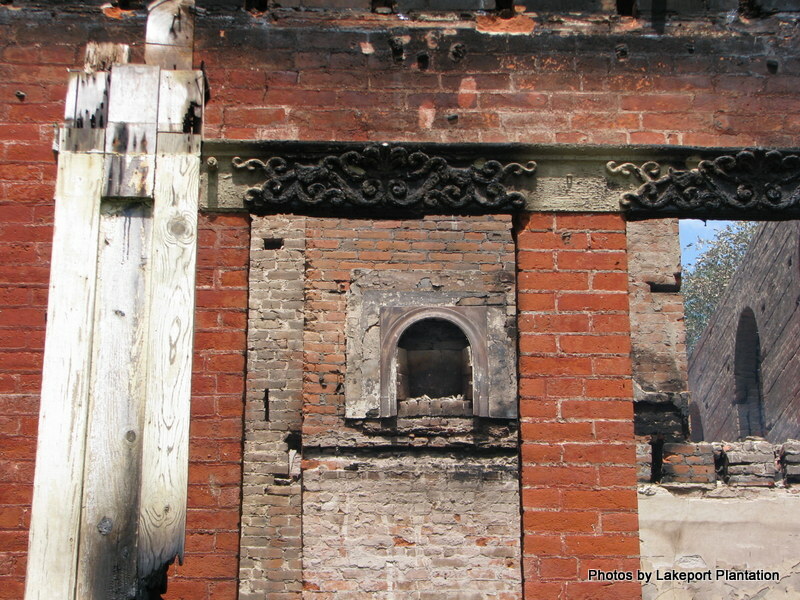 Thank you to Blake Wintory at Lakeport Plantation for these photos documenting the aftermath. You can find these and more here. For more on Mt. Holly . . . 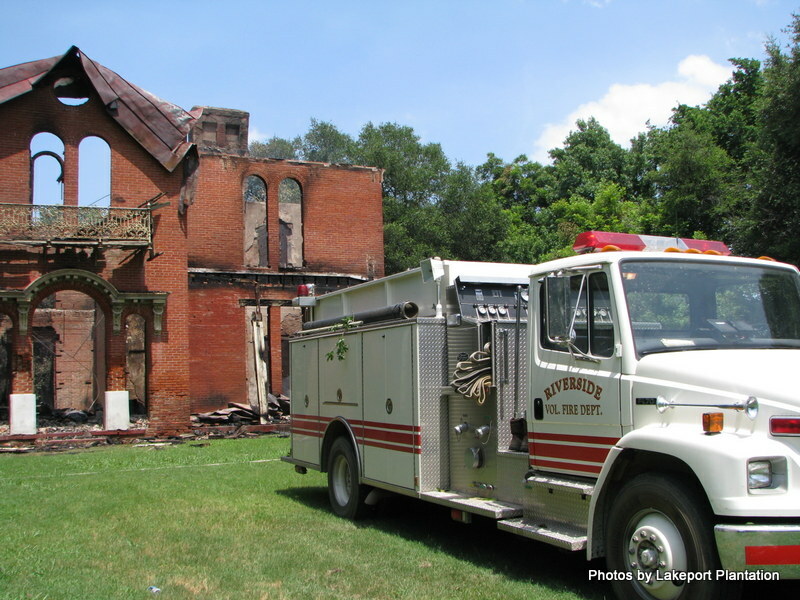 Words of hope and encouragement that I can offer at this time are ones that encouraged me after Hurricane Katrina; We are devastated but not destroyed. With the walls standing and a will to see it happen Mt. Holly still has a fighting chance. So sad, so incredibly, pathetically sad. Some backstory re how it went from occupied in 2000 to this would be useful for those looking for understanding and for ways to prevent such folly. Who was this “Matt Wiggins”, and why did he buy it to let it come to this? The Abandoned Mississippi post covers that story, especially in the comment thread. This wasn’t the only property that Wiggins screwed over. 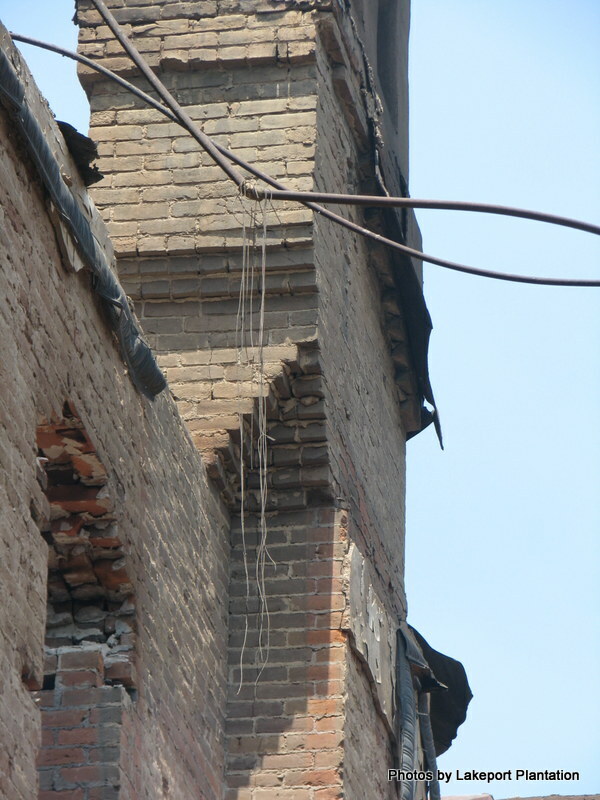 His is that species that has too much money and seems to enjoy owning historic buildings and letting them rot away. Is he going to be investigated on this one? One wonders how much he had it insured for . . . I had read he was under investigation by the FBI for some shady dealings in TX, but I’ve also heard he has died. Not sure if that’s correct. Oy! Which do we wish for him??? I was only going to suggest a good tar and feathering . . . He was sued again (and it was dismissed) June 2015 so I guess he is not dead. The investigation (for how he used his office to acquire property through foreclosure) ended in no indictment. This sounds like a gothic horror story worthy of . . . I can’t decide if Faulkner, Walker Percy, or Flannery O’Connor. Someone should take it on. It would seem to potentially have deep resonance for the very idea of “preservation”. Is this the Matt Wiggins originally from Cleveland, MS? Hi there! Are you the Joshua Cain affiliated with the Belmont Plantation? My grandmother was born in that plantation around 1896. A lot of the history is sketchy. I’d like to talk with you and see if we can put the pieces together. My mom is 85 and has a lot of the history. Posted some photos of Mount Holly from August 9, 2014. Do you have a link to those? all of you who share our sence of loss. 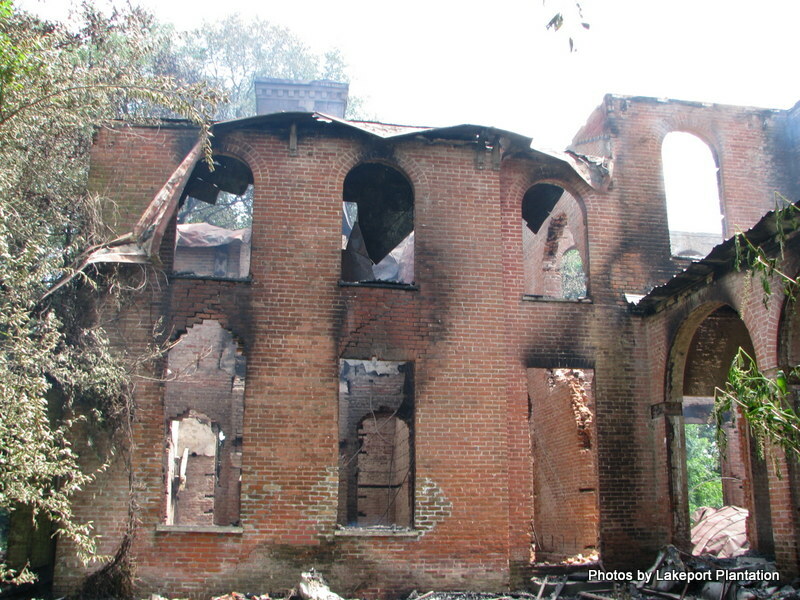 We hope you will rally round our efforts to preserve this last reminent of Antebellum grandeur in the Delta. Leo, perhaps you or EL could post or link us to some photos of Belmont? Shame on you Mr. Wiggins! Right is right, and wrong is wrong. You did wrong with your neglect. Did you not have a mother that taught you the difference? My Aunt Margaret knows what you did. God and your karma will catch up with you. 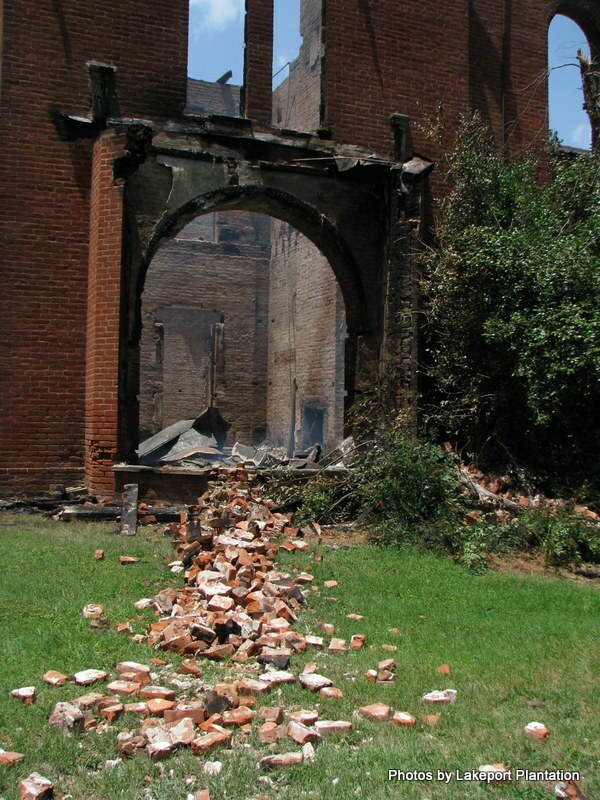 Seeing the ruins of Mount Holly after all the advocating and preservation efforts on its behalf while its intransigent owner does nothing, makes me think of Arlington in Natchez and the strong possibility that, unfortunately for everyone who cares, it is on the same road to the same destination as Mount Holly. Unfortunately, Washington County is too poor to have purchased Mount Holly. And there are very few people wealthy and magnanimous enough to purchase historic properties and restore them without caring about making a profit. What a shame. If this is the same Matt Wiggins from Kemah, Texas, perhaps the untimely destruction of this property will mean money in his pocket – insurance money. Seems from looking into him that the former Mayor of Kemah has a lot of questionable real estate dealings: http://www.galvnews.com/news/local_news/article_c149e468-dee3-11e3-9921-0017a43b2370.html, http://abc13.com/archive/9264785/, http://www.houstonchronicle.com/news/houston-texas/houston/article/Former-Kemah-mayor-s-land-deals-questioned-5240886.php. 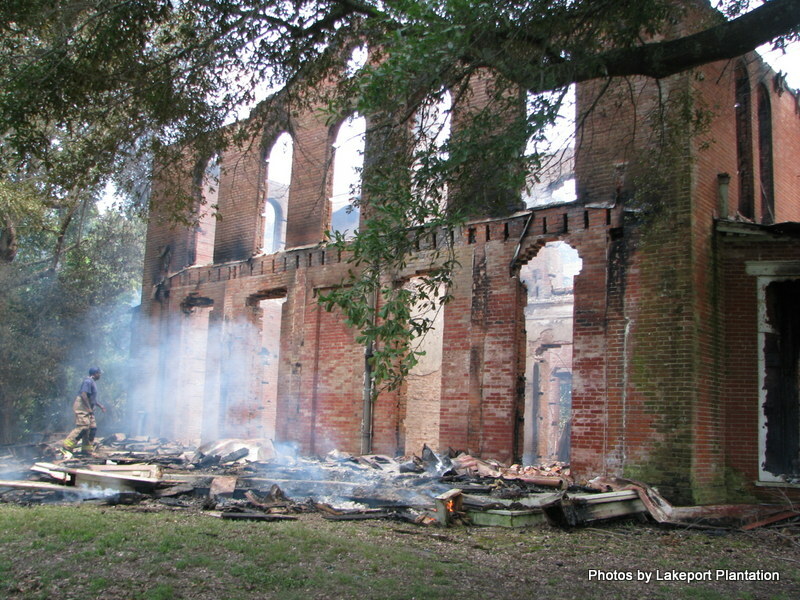 Why does Matt Wiggins buy historic property and let it go to rack and ruin? Just watched Youtube deposition of him bringing suit against a couple in Kemah, TX, for defamation of HIS character. Lots of info about on him on Google. He is a man of many law suits; some he where is the plaintiff and some where he is the defendant. He is a former lawyer. Need I say more? Sounds like the kind of guy who has a post waiting for him in Turmp’s cabinet. 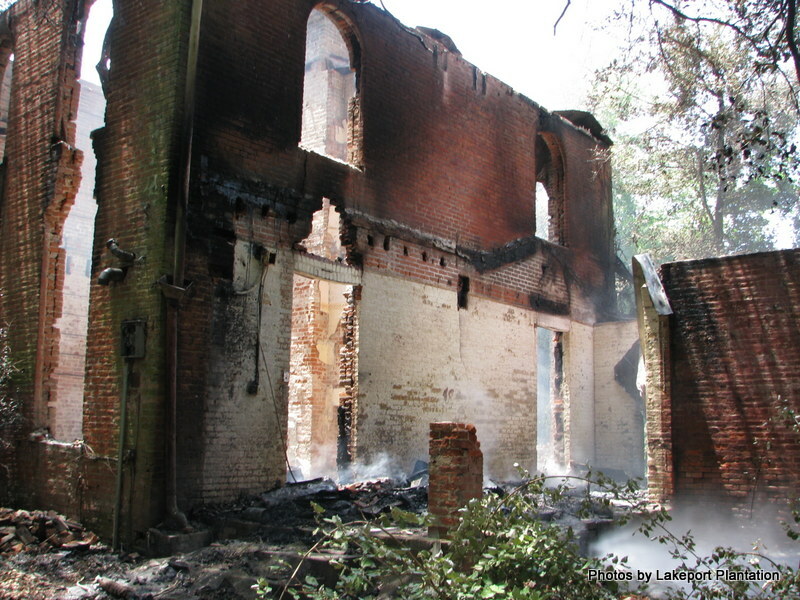 In my humble opinion, it is inappropriate to express one’s political views on Preservation in Mississippi. My comment was about one man’s abuse of power for personal gain, all else be damned. Matt Wiggins’s abuses seemed to me to have obvious parallels in Washington. To your point: almost every entry in this newsletter is political. If you are not aware of this by reading Malvaney’s posts, just ask. Comments in response to these posts are usually, also by necessity, political. As was your smarmy comment above about lawyers (which in this context I agreed with). It ain’t all moonlight and magnolias.